Our workspace wasn’t inspiring, so we decided to do something about it – analyse what wasn’t working? 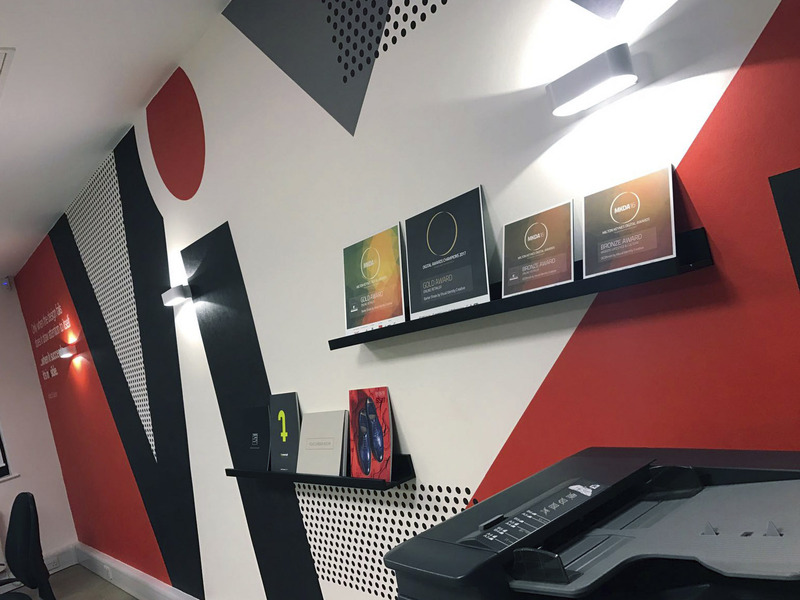 The aim was to turn our office into an extension of our work — after all an inspirational space would make Monday mornings so much more appealing? And late nights spent in the office – help us to meet those critical deadlines? Just painting the studio wall our brand colour didn’t inspire us? 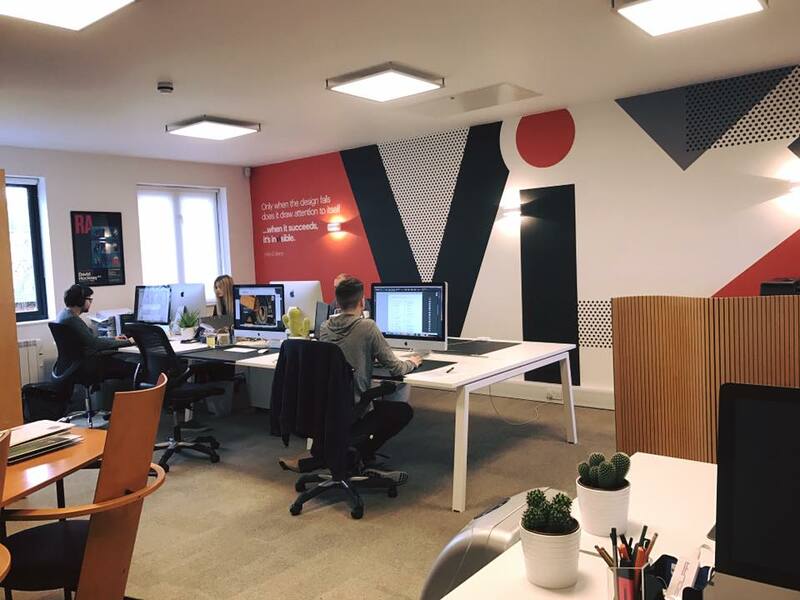 The VI team decided to identify the problems of our uninspiring space and to find a creative and impactful solution. The team worked to create an impactful wall art? A solution that was a unique to VI. And after all, it is our creativity that differentiates us from our competitors, our thirst for ideas and creative solutions that we find the most fulfilling. A number of ideas considered and the final solution developed. But still, something was missing. 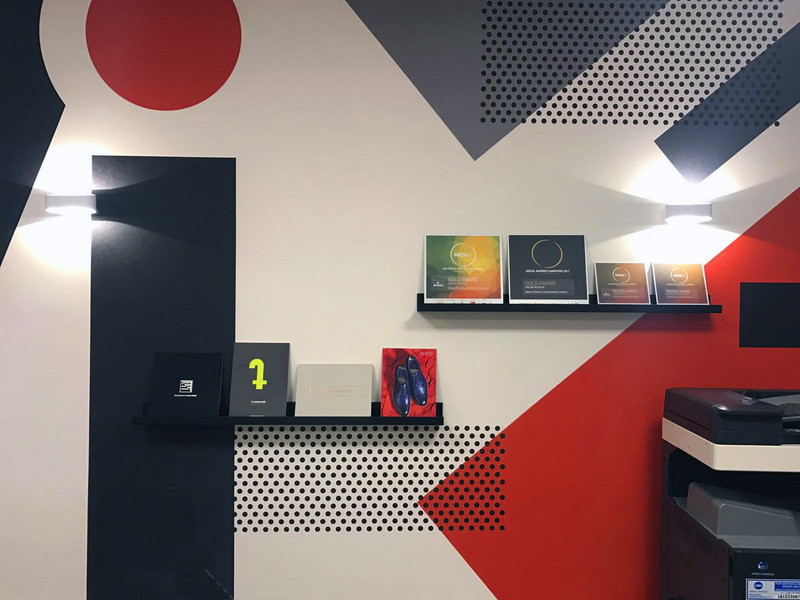 The final element was to install some floating shelves for display of our work and our awards – and finally, the icing on the cake, a big clear out and tidy up. Perfect. The team loves the new space and we can’t wait to start showing it off!